Finding rare coins in circulation is hard but not impossible! A famous collector once spent three rare cents in circulation — and nobody has reported finding them yet! 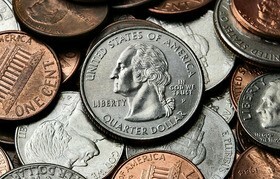 There actually are a few rare Lincoln cents that, if you find one, will be worth much more than one cent. After 50 years, the Lincoln Memorial penny is no longer being minted. During the 50 years of the Lincoln Memorial cent (1959-2008), the U.S. Mint made millions of proof Lincoln Memorial cents. 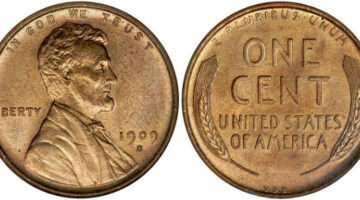 Here are tips for collecting Proof Lincoln Memorial pennies. 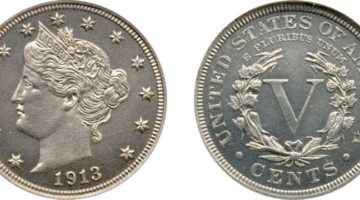 Key and semi-key Walking Liberty half dollars are quite scarce and command high prices for higher grades. Some coins are so scarce that not every collector could buy them. Wisconsin Error Quarters: Yes, They Can Be Found In Circulation… Look For The Extra Leaf On Wisconsin Quarters! 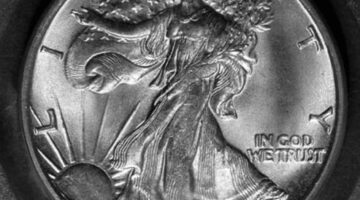 The Wisconsin quarter error with the extra leaf has caused much speculation on how the error occurred. Was it deliberate or an honest mistake. One thing’s for sure, the Wisconsin state quarter error is worth searching for! Going to a coin museum can be a spectacular adventure for coin collectors new and old! Chances are, you will walk away feeling inspired to pursue a new avenue of the hobby altogether. Here are details about the best coin museums in the United States. You know those traditional anniversary gifts that spouses typically exchange each year? Think: paper, wood, gold, silver, diamonds, etc. What if one or both spouses are coin collectors? Or, what if you’re not married, yet you have your own unique anniversary date that pertains specifically to coins? That’s worth celebrating too, right? Here’s a clever list of coin anniversary gifts by year – unique coin gifts to commemorate a special event or anniversary. Over the decades, the world has seen the most expensive coins push through the hundreds of thousands of dollars, and in recent decades, into the millions of dollars. 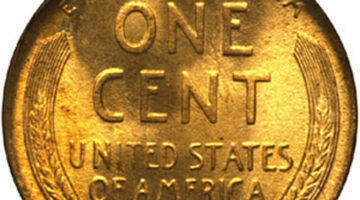 Here are the 10 rarest and most valuable U.S. coins. American Civil War memorabilia has a large following. People enjoy collecting U.S. coins, tokens, and money from the early- to mid-1860s. There are many types of Civil War coins and tokens, though certain ones have special popularity. We’ve all heard about why we should collect coins, but what are some of the reasons one should not collect coins? Here’s my take on this… some reasons coin collecting isn’t for everybody. Some of the most common error coins include: double-dies, blank planchets, broadstrikes, wrong design or wrong metal, off-center coins, and clipped planchets. Even the scarcest of the Jefferson nickels are not at all cost-prohibitive for the average coin collector, making Jefferson nickels a very good coin collection to assemble for most anyone. Incredibly, Jefferson nickels can, on occasion, still be found in circulation! You may be glad to hear that there are dozens of U.S. coins considered rare, and that many estates include rare U.S. coins. Many others are found in attics, old drawers and chests, and some are even found in circulation! In general, most wheat pennies are worth just a few cents (perhaps 10 cents). However, if worn and of a highly common date and mint mark combination, many wheat cents are quite valuable. In fact, some of the scarcest wheat cents are downright expensive — costing into the hundreds of dollars in the most worn condition. Here’s the scoop. Are Old Jefferson Nickels Worth Anything? How Easy Is It To Find A Rare Jefferson Nickel Today? I did a little research to find out which U.S. coins are actually worth something today. See what I found — which coins to keep and which ones are worthless. Plus, see how to determine the value of YOUR coins, and which U.S. coins you should hold onto and not spend — according to the Ultimate Guide of U.S. Coins Worth More Than Face Value!